One great thing about the recent lovely weather we've been having lately is being able to partake in some alfresco blogging. I love just popping in to the garden to use the iPad to catch some rays while actually doing something productive. Why can't all jobs be taken outside?! If a change of scenery is what you're after, or like me you share a garden with a criminal! you have to move away from the comfort (and the wifi) of your own home and then the blog planning has to go back to basics. It needs to be done the old fashioned way...with a pen and paper. I admit I'm picky when it comes to stationary (aren't we all?! ...no?) picking a diary alone is a mission in itself, it has to be the right size, there needs to be the right amount of writing space on each page, the writing can't be too small...and then there's the design on the front! But one thing that can seal the deal is if it is unique to me. Proudtobea.co.uk kindly sent me a couple of notebooks to try for size and I'm already loving them. Call me self obsessed but if something has my name on it, I love it! 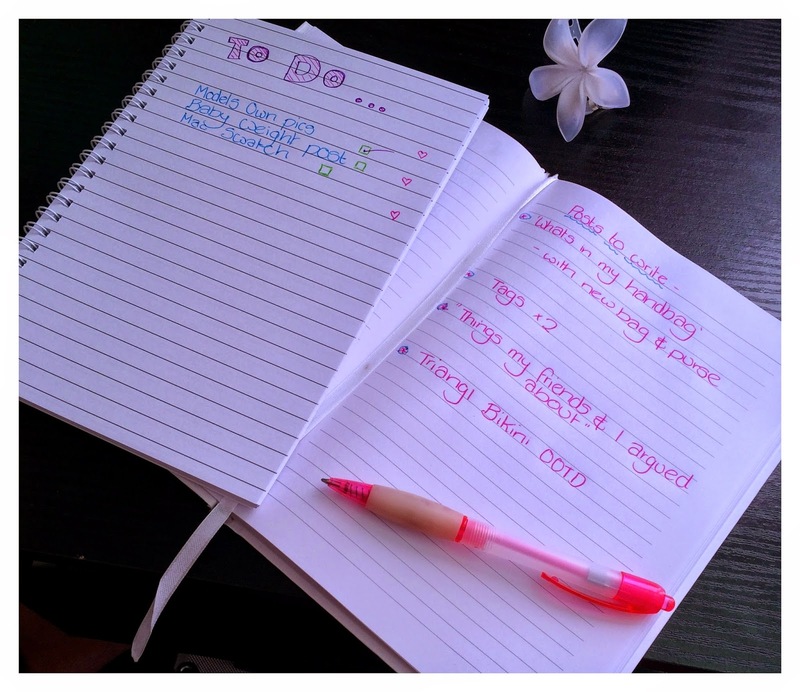 I know a few bloggers share my love of notebooks and list writing. They are so helpful for blogging and jotting down ideas when you're not at the computer or when you can't sleep and suddenly get inspired at 2am! If you're looking for a leaving present, secret santa, or something to brighten up your workplace ProudtoBeA will have something for you. I was sent a ring bound You Beauty notebook with a great beauty product theme on the front -very appropriate for a beauty blogger I think! You can add a name up to 15 characters so it ends up saying 'Jenna You beauty' and there's 40 double side lined pages inside. The second notebook is a more 'mature' design, yet still fun and pretty. The Dream Laugh Play A5 hardback notebook gives you two lines of 20 characters to get creative with. 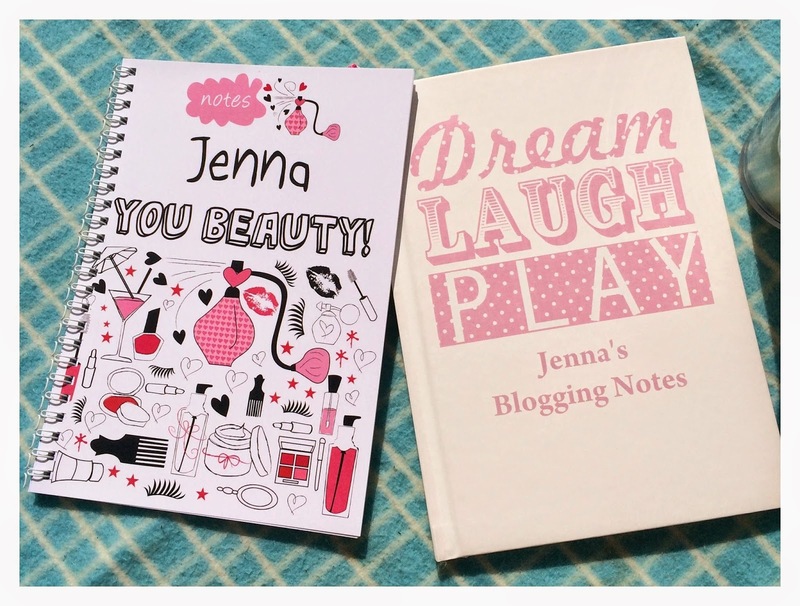 I chose to have 'Jenna's Blogging Notes' on mine in a bid to get myself more organised! Inside there's 96 pages, and a page marker too so this one is a little more luxurious. I think both of these would make an excellent prize for a giveaway. The website has designs for all ages, including cartoons, fairies, football themes, colourful chalk board effect, and also subtle checked, polka dot and floral designs. You can be sure that everyone in your work place will be catered for. Delivery is also free which is a big plus. There's so many gifts on the site to chose from, trust me you will be looking through it for ages! Go on, order yourself a notebook and get blogging outside in the sunshine while it's still here! These notebooks are adorable! I love cute notebooks, but I always ruin them with my rushed handwriting. I know what you mean, the first page is almost perfect and then from page 2 it's all over the place! I'm constantly buying lovely notebooks, none personalised though...maybe I should get one for my blog and one for when I start my nutrition company! !